Good Evening All!. 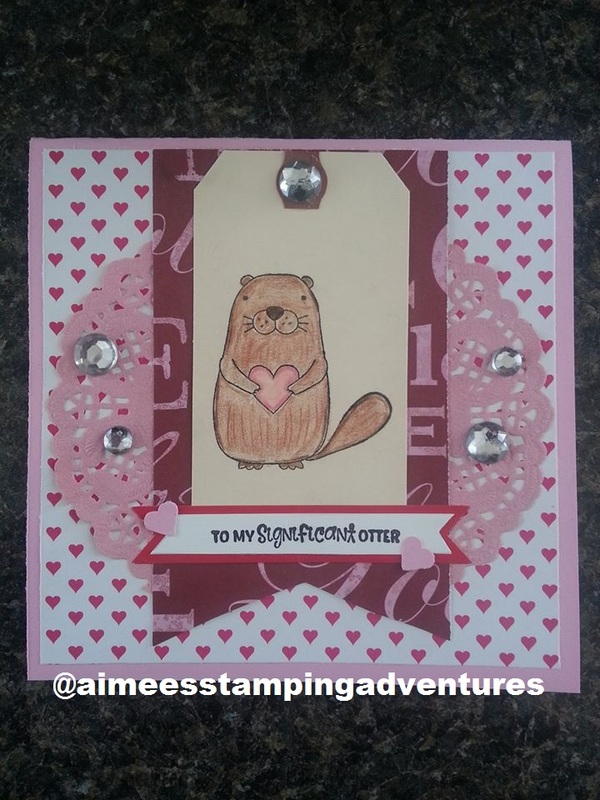 Hope you are having a great day and have had a chance to do some fun stamping today!!. Well I got inspired and here is what I created. 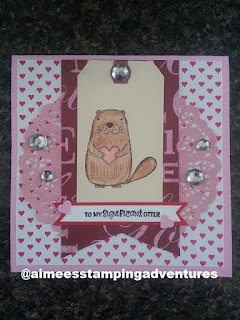 For this card I decided to use Unity Stamp Company's stamp entitled " Otter Nonsense" by artist Joslyn Nielson. I love this stamp is "Otterly Adorable" (smiling). I know the background behind the otter is not necessarily "red" but I thought it might be considered in red family and work :). I even added bling!. I found these cute little white labels with red outline that stick and used and stamped "To My Significant Otter". I had a small heart punch and added those to card. I am happy with how it came out. Hope you like the card I created. Happy Stamping! !.